It is pretty obvious that one needs onshore diving lights, used in lakes and similar bodies of water, at night so that they can help them navigate, view gauges properly, and most of all observe the interesting aquatic life. But is is also not a bad idea for you to carry a light during the day as it will help you when you peer inside darker areas, including ledges and caverns. 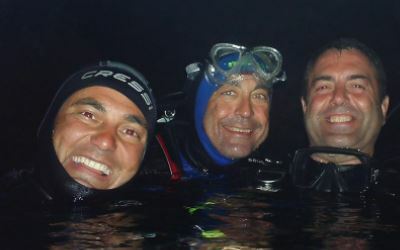 What are the recommended dive lights? Dive lights are divided into two categories. These ones include the Aqualite-S 20, C4 and the C8. These ones are characterized by the powerful light beam that they give. The torch is lightweight and perfect for use in clear water. Of the many benefits that these types of lights provide, the most important is its function as a backup light if the primary light fails. They are, in most cases. more compact and lightweight than primary lights and they also feature a narrower light beam. The lights are also ideal for those who wish to use them to explore under cracks and the crevices due to their narrower beam. Examples of such dive lights include the mini Q40, the SL3 and the SL4. What are the standard features that a dive light should have? And lastly, it should have a wrist lanyard or some sort of clip, so that even if you accidentally let it go, you can easily retrieve it. From the above information, you sure have the best onshore diving light. Why Choose a Professional Dive Light?